40 years of research created what pros are calling the best guitar pick on the market today. 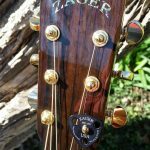 Patented “Flex Tip” design rolls over strings eliminating string breakage, tuning issues, and excessive wear on coated strings. Carbon construction absorbs vibration allowing you to play longer with less fatigue. Patented ergonomic “Thumb Hole Pivot Point” with specially positioned holes for thumb, pointer and middle fingers allows for multiple finger positions that feel natural in your hand. Symmetrical shape with 3 contact points last 3 times longer than teardrop picks and always lands perfectly in your fingers. Vented 4 hole design wicks away perspiration providing less slippage and better accuracy. Attaches to tuning gears when not in use making them impossible to lose. Used by Lady Gaga, Garth Brooks, Bruce Springsteen, Johnny Cash and other artists. 100% money back guarantee…break a pick we’ll replace it for life. 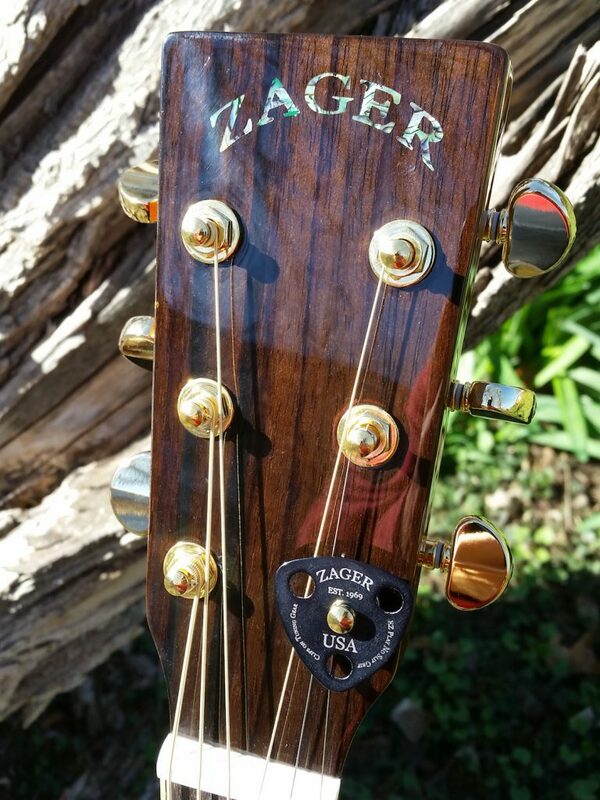 Email mail@zagerguitar.com for bulk pricing. 100% money back guarantee...break a pick we'll replace it for life. Best pick on the market today. I've tried every guitar pick out there as I have a degenerative muscle disease that causes me to lose strength in my fingers and these are the only picks I can hang onto for several hours of play. Your fingers sink into the holes allowing you to loosen up on your grip while still maintaining control. All that and I still haven't lost one as I click them onto the tuner when I'm not using them. Absolutely brilliant. Why someone hasn't thought of this until now blows my mind. As I said...BEST PICK ON THE MARKET TODAY. Love these picks!!! Very easy to hold....easy to find clipped on my tuning gears. Worked great. Exactly as it looks. Just what you'd expect from Zager, a great lineup of picks of every description. The quality is very noticeable. Fast delivery, good price. I ordered picks, I got picks. What is there to say.. 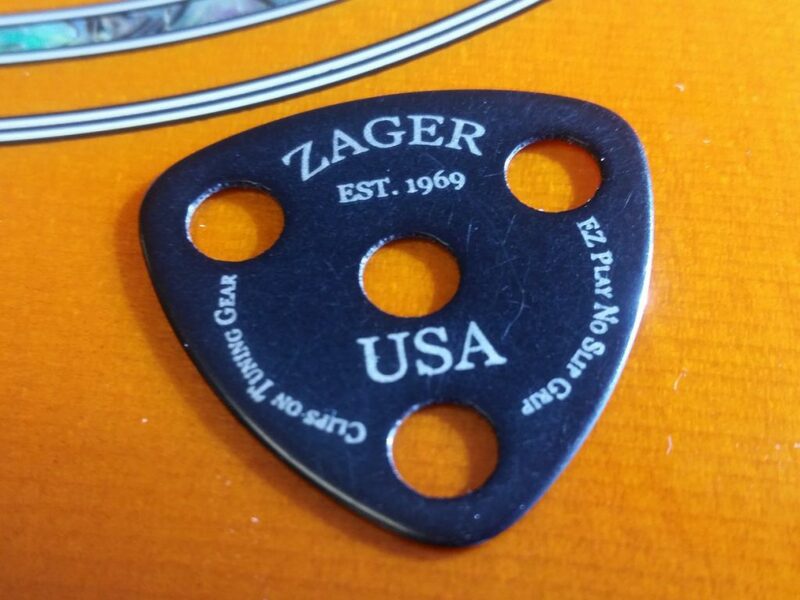 It's a Zager pick. Fits in my fingers naturally. Great product - as described - thank you! I have to admit I bought these completely for their looks. They have however worked quite well, as one would expect from something with the Zager logo. I really liked the looks, why not spend just a tad more? If you like the looks, buy them. Beautiful & excellent quality, especially for the price! Looks and works great! We would buy them again! Good product, very useful thanks! They bend but don't break. My husband adores these picks so I thought I would stop by and give them a High 5 Rating! Fast shipping I love these picks they are so easy to handle and the new design is something I've never seen before. Other picks are so outdated compared to these I probably won't ever go back to the traditional kind of guitar picks. Why would you. I love this company and their picks are another reason why I keep coming back. Cheers from UK! Amazing guitar picks. Bought a pack and it's seriously my favorite picks to play with! Perfect for lead guitar. Finally a good set of picks at a fair price! !